Kyle Julius made his way towards the top of the POY rankings on the back of just a few massive scores, having just about the best year a tournament player can experience without winning a title. Julius kicked off the year with a runner-up showing in the gigantic PokerStars Caribbean Adventure main event for $1.5 million and 2000 POY points. He made another small final table appearance in a $1,000 event at the Binion’s Poker Classic before his next key score. Once again the Illinois native finished as the runner-up, this time in a massive $5,000 no-limit hold’em event at the WSOP that drew more than a thousand people. Julius earned another $589,687 and 1,600 points for that deep run. 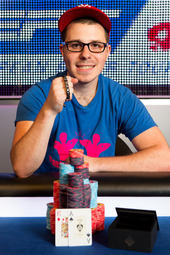 German poker pro Marvin Rettenmaier has shown that he is one of the most consistent forces on the live tournament circuit, besting his fourth-place finish in the POY race in 2011 by one place. 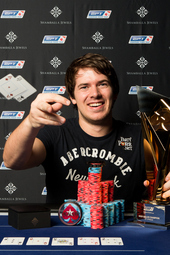 The 25-year-old from Leonberg made eight final tables, winning four titles and cashing for more than $2.4 million. In 2011 he made the most final tables of any player, but this year he kept nearly the same quantity while improving the quality of his wins, capturing the World Poker Tour $25,000 championship title, the WPT Merit Cyprus Classic title and two EPT side event wins. Well if success over a period longer than a year is part of Rettenmaier’s self-assessment, he is probably surpassing his expectations. 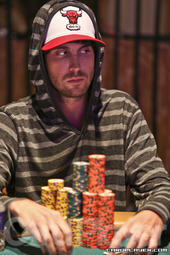 Looking at his combined two-year record for 2011 and 2012, he has six-titles, 20 final tables and earnings of over $3 million. 23-year-old Dan Smith came extremely, brutally close to winning the 2012 Player of the Year title. He ended the year with 5,040 points, only 60 behind our champion. Although he fell just short, he still had undeniably one of the greatest year’s on the tournament circuit in recent memory. Smith won six live tournaments this year, the most titles of any player. He proved himself to be one of the most dominant no-limit hold’em players at the moment, winning events with buy-ins ranging from €5,000 to $100,000. Smith’s two largest scores came when he won the $100,000 super high roller at the Aussie Millions for $1,060,981 and the European Poker Tour €50,000 high roller for $1,186,420. Incredibly, his four other titles all came in events with a €5,000 buy-in, three of which were won in just over a week at the EPT Grand Final this spring. He won his sixth title of 2012 just weeks before the year ended, a last minute push that brought him painfully close to the POY title, but in the end he ran out of time. In addition to all of his live success this year, Smith has also furthered his legend as an online. In the PokerStars Sunday Million in October he made a deal five-handed, securing nearly the first-place prize in a chip-chop, only to go on and win the set-aside $20,000 to make roughly $8,000 more than the allotted winner’s share. Although this feat did not qualify for the Player of the Year race, it just goes to show what an unbelievable year Smith had at the tables. Be sure to check back on Tuesday to read about the 2012 Card Player Player of the Year winner.